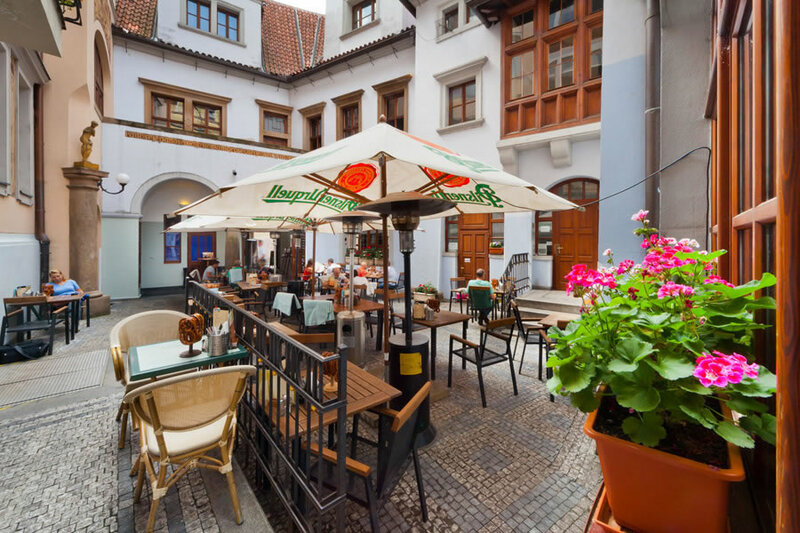 The restaurant "U VejvodĹŻ" is situated in the historical centre of Prague, not far from StaromÄ›stskĂ© nĂˇmÄ›stĂ­ (Old Town Square) at JilskĂˇ 4. 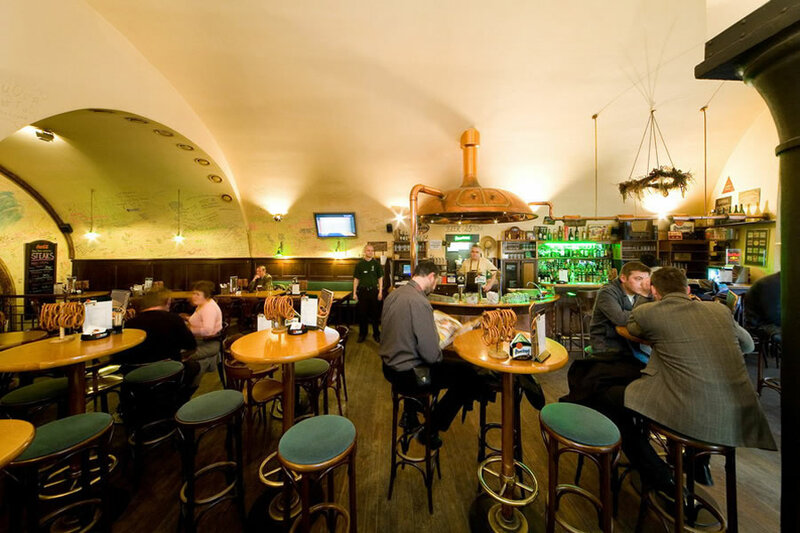 This restaurant is famous not only for its typical Czech atmosphere in the style of the Old Bohemian alehouse, but also for its "PlzeĹ�" beer of excellent quality and traditional Czech and international cuisine. 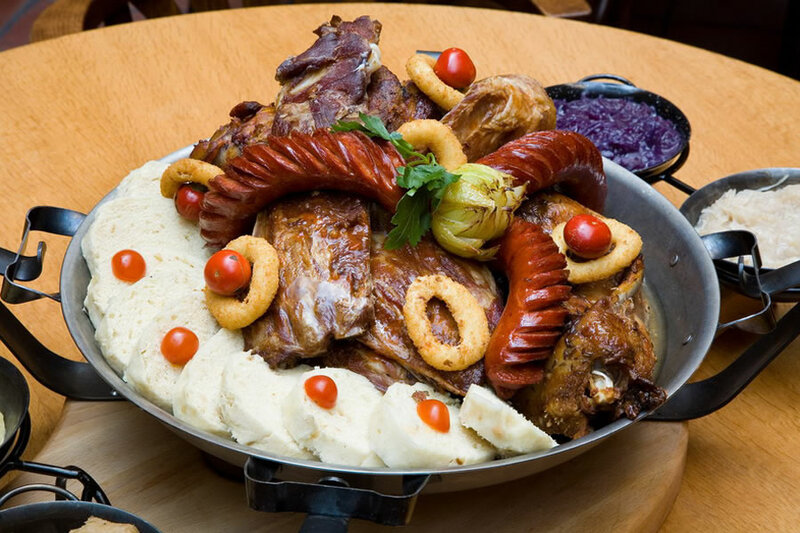 In the Restaurant U VejvodĹŻ there is always good cheer, for which many top men have already sat here. They come to us for their pleasure, so we invite you all to come - both the rich and the humbly poor. 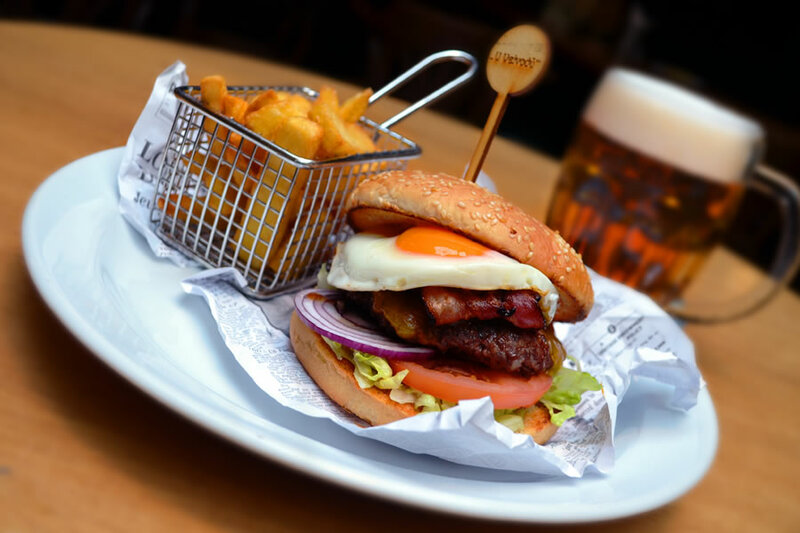 Come and eat your fill with cheer, but drink should not be overdone. There is plenty of everything here and every guest is welcome. During our operation of this restaurant we have received several pleasant evaluations in the form of letters of thanks from the highest representatives of our government, artists and members of the diplomatic corps and authorities. Around the middle of the 17th century the building underwent further reconstruction, documented by the crest in Early Baroque style over the door, the Early Baroque decorations painted on the beams and the triple vaulting close to the stairs. Souvenirs on offer (T-shirts, caps, postcards, note-books etc.) 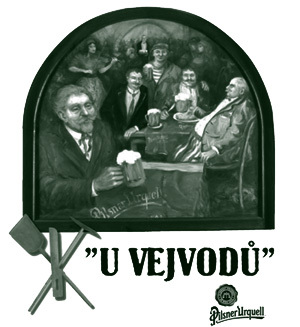 with the U VejvodĹŻ restaurant logo, plus a wide selection of original Pilsner Urquell beer glasses. 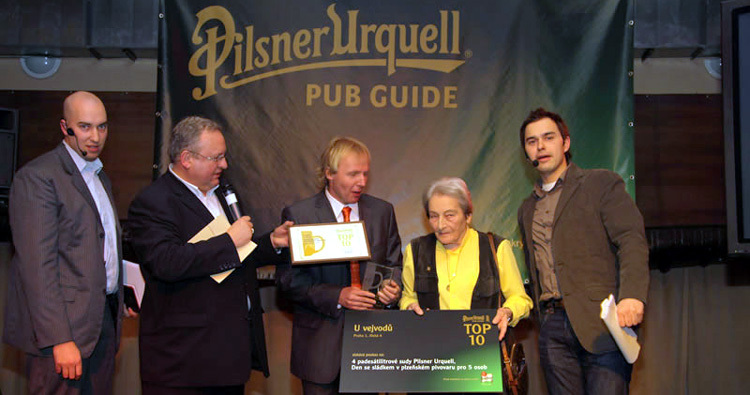 Pilsner Urquell Original restaurant "U VejvodĹŻ" got heading for 2nd position in PUB GUIDE 2009 research, whereby got 2nd spot in TOP 10 restaurant of the year 2009 in PUB GUIDE catalogue. This research is very valuable, because it is composed on the basis of guest voting in more than 1000 restaurants in Czech Republic. 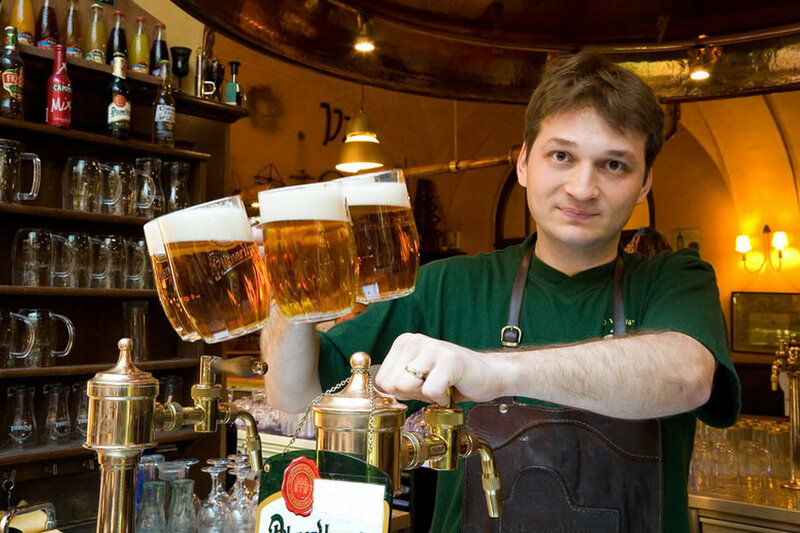 Pilsner Urquell Original restaurant "U VejvodĹŻ" got heading for 2nd position in The best cuisine of 2009 competition according to guest valuation in PUB GUIDE 2009 catalogue. Accept an invitation for a short but tasty tour of our restaurant. Do you feel the delicious smell?